One of UPAC’s bartenders skipped down an abandoned hall, hands aloft, waving side to side, an unadulterated grin glued to his face. An usher, with no one requiring assistance, leaned against a post, nodding appreciatively and smiling approvingly. It was the encore, but the exit hall was empty and there was nobody to usher; no one left this show early. 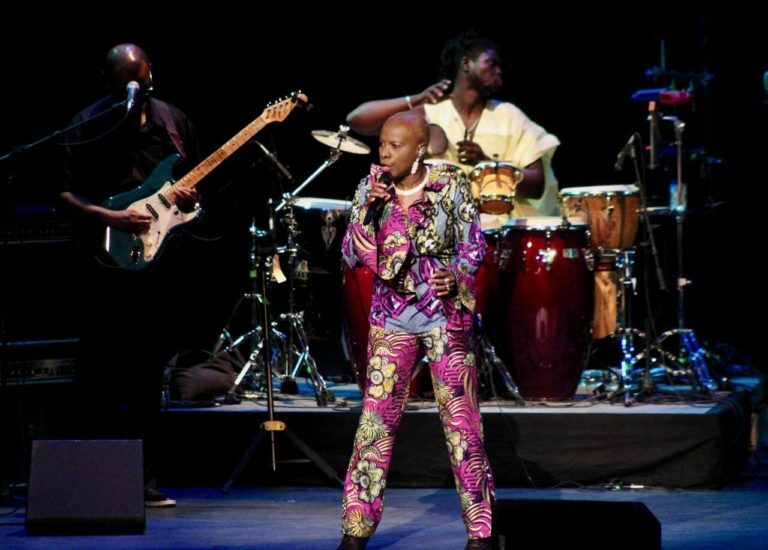 Kidjo and her band brought down the house from the opening djembe drum solo to the Talking Heads finale. 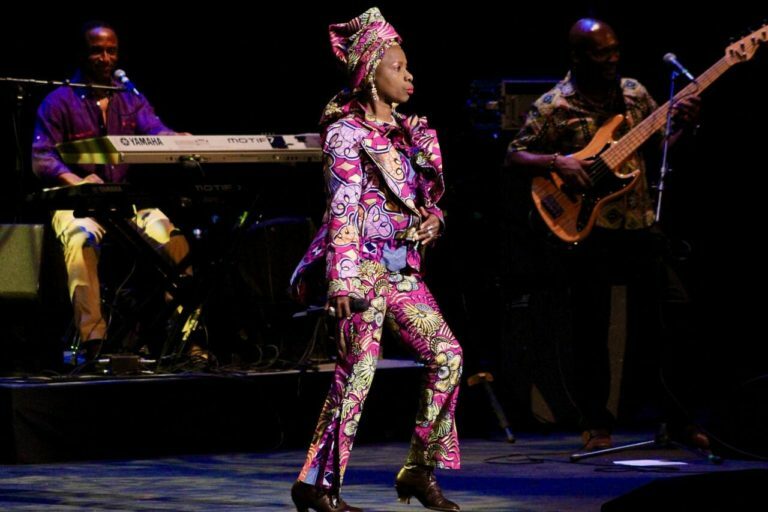 When she took the stage, Kidjo’s presence instantly demanded full attention; her attire rivaled the vibrancy of her voice and she and her band held onlookers riveted all evening. Originals and Talking Heads covers alternated throughout the evening, with anecdotes sprinkled in. After the opening drum solo kicked things off, a cover of “Born Under Punches” flowed into a bass and synth-heavy “Crosseyed and Painless.” Kidjo followed these covers by informing the Ulster Performing Arts Center, “We love doing Remain In Light—with the blessing of the Talking Heads of course!” Kidjo and her cohorts played a few California concerts with David Byrne, she explained. For most of the evening, the aisles were filled with a wave of grooving bodies and seats were left abandoned. 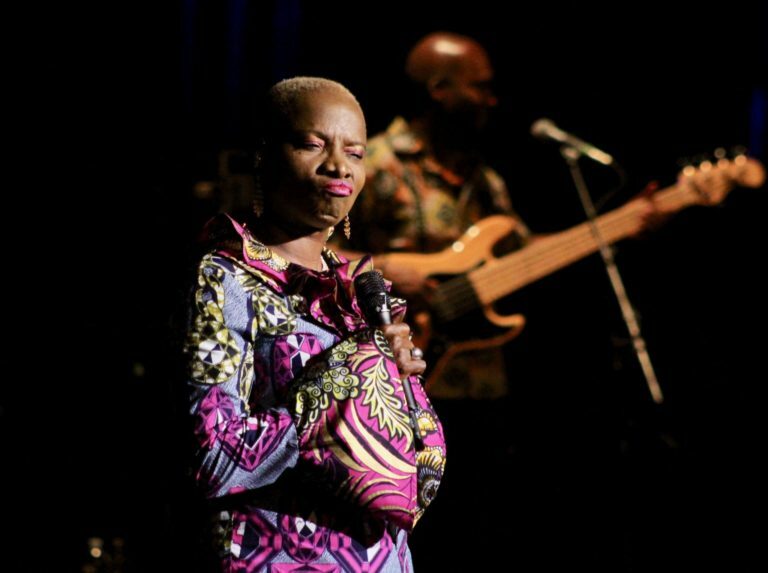 Kidjo is undeniably a star: her presence is vast and her voice is a wide-ranging instrument unto itself. She formed a symbiotic relationship with the Kingston crowd that blossomed all evening. Her dancing was like jujitsu that warded off bad energy as she bounced from American funk to African beats. 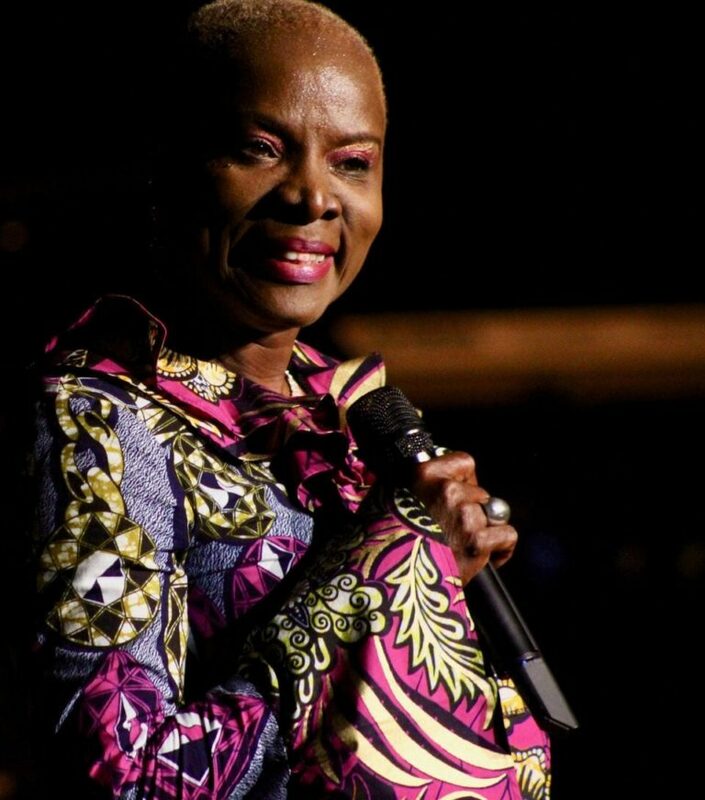 Midway into the show, Kidjo disappeared into the crowd and would occasionally pop up in a sea of fans in the heart of UPAC. She finally reemerged onstage for the remainder of her nearly two-hour set to energetically cover “Once In a Lifetime” to fans’ delight. 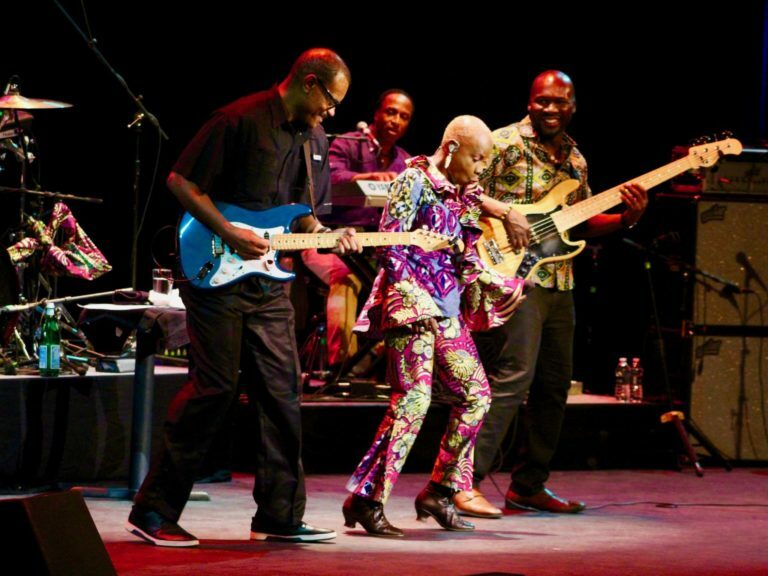 As the show neared its end, Kidjo exclaimed, “I want at least thirty people up on stage– first come, first serve, ladies, men, I don’t care who– get up here! 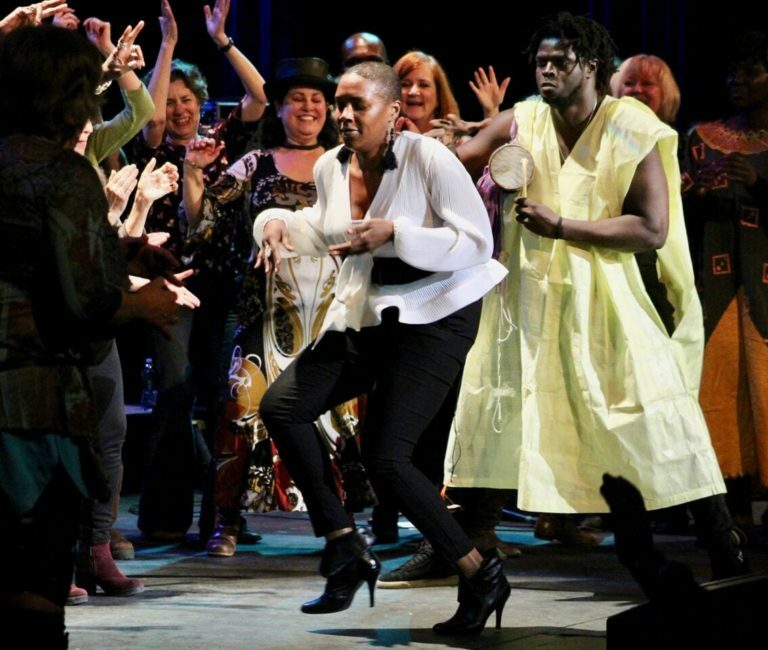 Let’s go!” The stage quickly filled with eager attendees looking to bask in Kidjo’s presence. 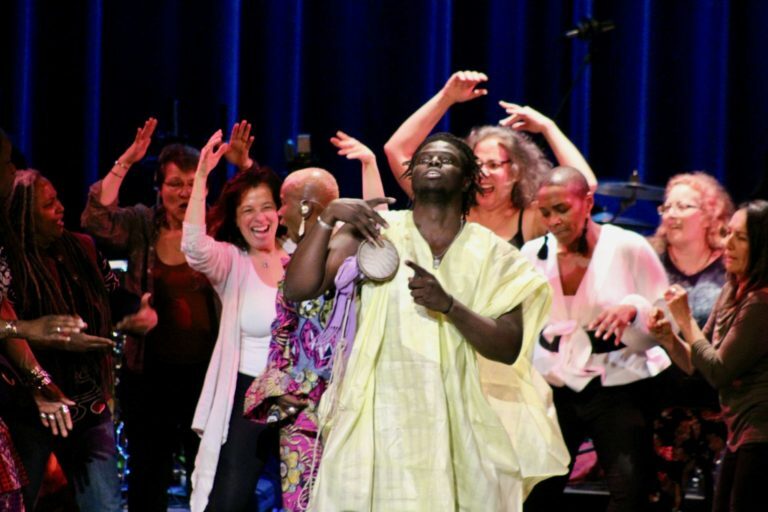 The djembe drummer lumbered to center-stage and began serenading dancers with beats, which they, in turn, interpreted with their shaking bodies. 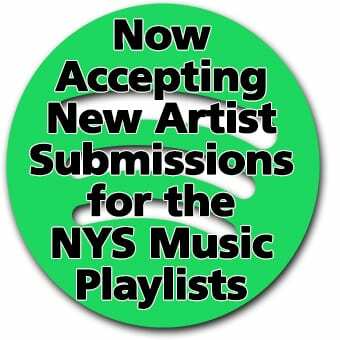 Anyone who wanted the limelight was given their shot at it. Those who preferred watching were treated to a show. The evening was more an interactive musical experience than a concert. 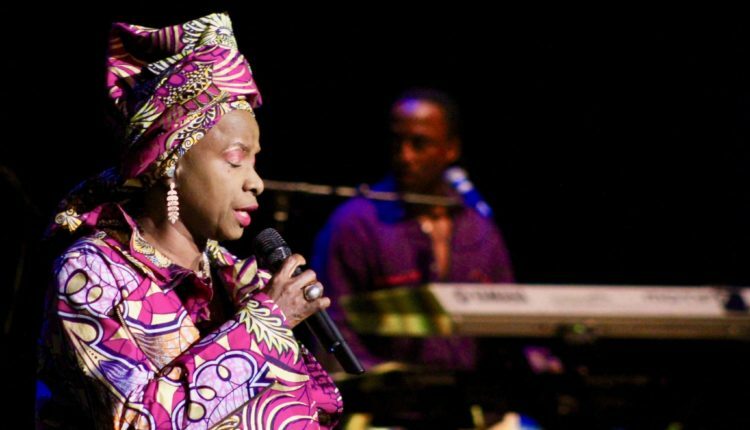 When Kidjo said, “Clap,” the Kingston crowd clapped; when she said stand, they stood. “Dance!” Kidjo demanded, and dance they did. 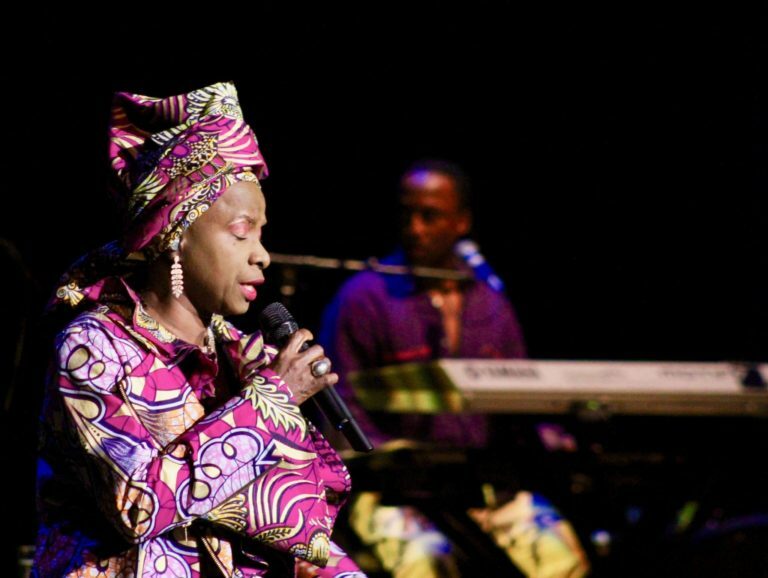 No one left early, and no one left without a look that said they yearned to remain in Kidjo’s bright light.